If the rush of adrenaline is not enough for you then take the Iron Man challenge! 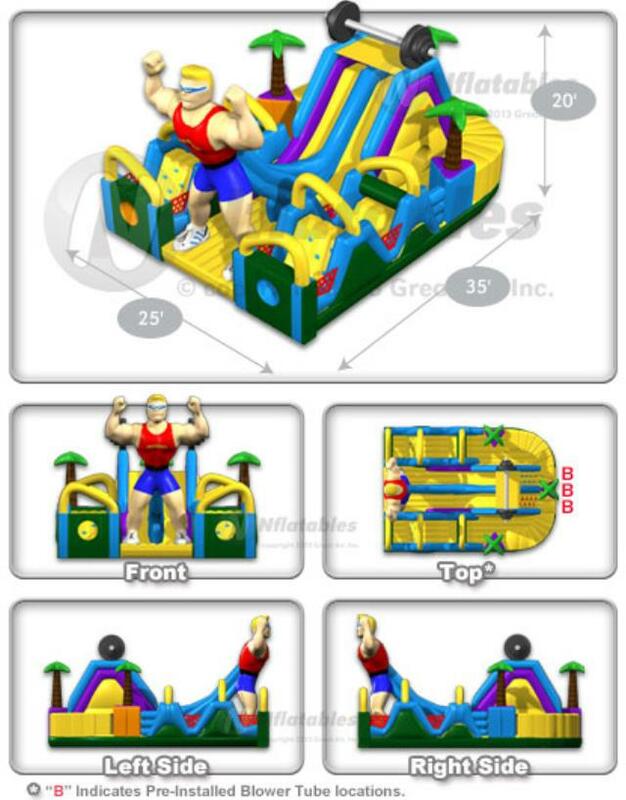 Two opponents face a run covering over 85 feet, each including obstacle walls, squeeze plays, and tunnel crawls. 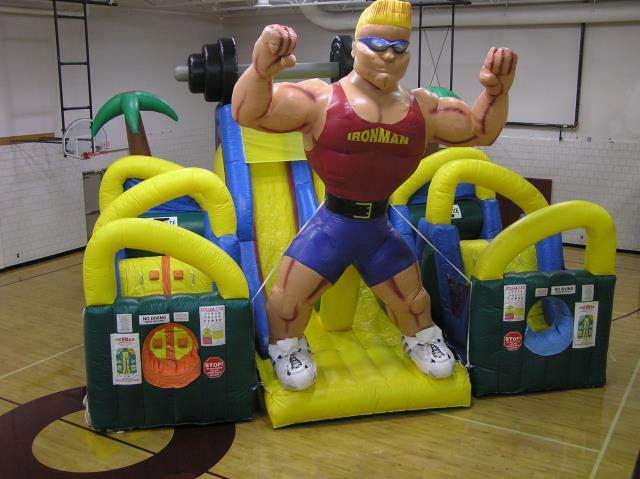 Each opponent changes sides before climbing up and over the biggest obstacle of all, the giant slide down through the legs of the Iron Man. 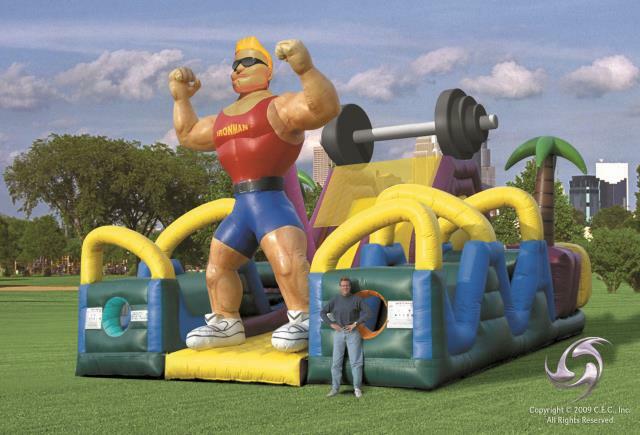 Iron Man is the ultimate in obstacle courses!